Do you work for InVision? Learning about InVision? We can help. "Prototyping for a modern designer"
My favorite Invision feature is that it syncs with Sketch so while designing I can easily load pages to invision to view them in prototype form. It is really helpful for me to see how the design looks when scrolling or on a screen prototype. It also helps when I'm putting together user flow because I can quickly see what needs to be changed to make the screens as intuitive as possible. Theres nothing about the current design of invision that really bothers me but I would like it if it had more screen transition options. It's also nearly impossible to successfully incorporate micro interactions into prototypes as they seem to always bug out after being dropped into the software. I recommend users to definitely install the invision plugin on sketch so they can sync their art boards to the platform. When editing those art boards make sure they have the same name, so you can quickly make updates to your prototype in real time. When using invision I can quickly and efficiently turn my designs into clickable prototypes. I use Invision for all stages of user testing as it is also easy to share links to prototypes and simple enough for participants to open up and use. "Great tool for Interaction Design"
Easy to link screens and create navigation. Comments can be provided by different team members. Access can be given to everyone in working team easily for view/comment. Easy syncing from Sketch and Adobe. The interaction is very seamless. It looks like an application flow. Arranging the screens is not very intuitive. When I upload a screen, i am not sure why it goes and sits in a specific location. I have to search for it and then move it to a location I want. Great tool to define interaction design for the screens. Very easy to use and looks like a real application for the team who we are presenting it to. You can also do user testing (moderated and unmoderated) using this tool much early in the process. Different teams can give comments offline during the reviews within the tool. So that designer can take a look at it and address those comments. Moderated and unmoderated reviews with business users, Interaction design and review of UI/UX with different teams (Development, QA, Management, User community etc). Everyone should try InVision because it is a very helpful tool for sharing your designs with the client. With this, you can also make clickable and interactive prototypes to share with the client. When shared with the client, they can also comment on the designs then and there itself. We can even share .gf images. If you want to start a new project and want to share initial concepts or references, you can do it with the mood board. With the latest update, I like the on hover feature which makes it feel like a live website while sharing it with the client. The only thing I am facing problem is the grouping system. If there was an option to group similar products, it would have been easier to projects and easy to find it. I would like to recommend it to everyone who wants to share their work and wants the feedback there itself. Why recommended, firstly it free, you get to do interactive prototyping. Can create mood boards. What else does one need now? The main problem I was facing is that the clients were giving feedback in a word document, with this I was not able to track as on which page the feedback is related or for which section. But now with InVision, clients are giving online only by which I know where it is related and what do they exactly mean. Invision is one of the best software for sharing and making prototypes, it is so easy to use and understand for any novice, the prototypes are also interactive which is more exciting for the clients to see. They also have feature for user testing and collecting information after the design is all ready this is specially very good as you do not need to use another software again for testing. Invision also has an option to make mood boards which is also helpful for showing to clients all in one place and it also supports GIFs. Invision has also come up with InVision studio which is such a wonderful product on its own. There is soo much scope with invision studio, it is better than all the other designing software as one can also animate and prototype within. The best part is that it is FREE, who does not love FREE products. There is nothing much that i dislike in Invision as i regularly use it and love it. I think maybe a few things which can be added as another product is maybe project management although they already have task management but project management will help alot. I think they should start prototypes for AR/VR and MR too as these are the new medias. This will help them to capture the future market too. 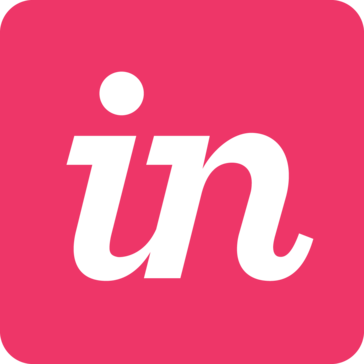 InVision is a wonderfull product especially if you are a ui/ux designer or product designer. It is a must needed as it has all the feature for you once your design is ready, from prototyping to commenting, task allotment, user testing, mood boards, a mobile version (in which the prototype can be sent to the desired client through SMS also), smart watch prototyping. It also has a learning section to learn form the greatest of companies about their process and how they scaled up their design teams. Recently InVision has also launched Invision Studio and Design System Manager which is one of the biggest game changers in the industry. I think nothing can stop invision from success now. 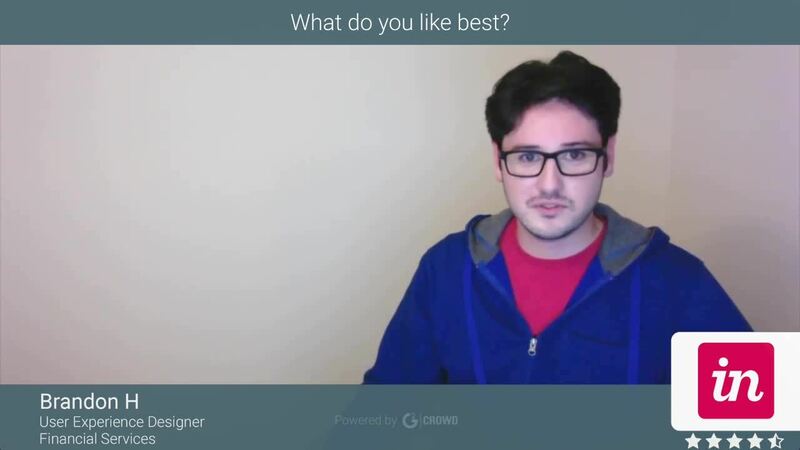 Invision helps me to design better products with immediate feedback from clients through the comments sections and also user testing with their additional feature of user testing. "Do you want real apps? Start with InVision." The prototypes that I have been able to do in InVision are fantastic, at this moment I have the availability to access them from any device, whenever it is necessary. InVision goes beyond a model, creates a real interaction between a possible client or user and the application. Through the configurations we can block screens for a certain user role, it is fantastic because it perfectly emulates a web behavior and we love it. Having control over access levels makes InVision always the main choice for today's mobile and web 3.0 applications. On the InVision board there is a prototype mode, which allows modifications to the web or mobile design that is desired. Being in prototype mode does not allow me to move from one screen to another, which generates great inconvenience because you want the modifications to be made between screens. I have to devise a way to remember the previous screens with respect to the new modification, it is a cumbersome process, but it is the only one that allows me to advance in the projects. The loading and unloading process of .Sketch or .PSD is extremely slow. It is required to do it in a moment of complete speed of internet, more when there are intermediate images (there are usually many). The benefit is directly applied to the performance in the development of the designs and prototypes of future applications of high interaction with the user. The demand has led us to use this program directly and we are delighted. I recommend its use, whenever the project merits a deep interaction, otherwise, you can use basic tools. InVision is for superheroes. The feeling of satisfaction observed by the customer is undoubtedly something special for the company, all the prototypes and designs made have the particularity of including many interactions and customers are really impressed. For us it is a pleasure to have a tool of this type that will help us in this design process beyond a model. "User Friendly Software for Design Trials"
I've utilized invision for creating mood boards and app development/testing. I appreciate how use friendly it is when I'm bringing my app design to life. it helps me work out the kinks/poor design elements and test the flow of it all. There isn't much I have to complain about this product, however I think it would be beneficial to have more options for app testing (where to click, how etc) and more variety in the organization of boards. "A great software with many incredible functions"
InVision is multifunctional, it allows me to do more things than I can mention, I can design, build a prototype, share everything I want, try designs and develop all the business potential with the designs of our presentation to the world. I can achieve my job of finding new ways and ways to achieve a perfectly representative image of our product and InVision has everything to be able to achieve it. The software can be generally a bit complex to use, the interface has cost me a bit to understand it completely. I need to integrate other applications to work properly, and in doing everything becomes extremely slow and heavy, I would like that problem to be solved because the use of InVision is really important for the work I do. If you need a tool you will see, powerful and looking to allow you to create designs to achieve an image suitable for your company, the quality product you need to try is InVision. It has everything that a truly complete software needs, try to use it and you will see that it meets what I mention at face value. 100% recommended. InVision has allowed us to achieve a fresh and new image of what we really offer in the market. It is an effective tool that has given me the possibility of obtaining, through various designs and thanks to which I can share them, a much greater scope and thus reach many potential and active clients. In an authentic way, it has enabled us to creatively create, administer and design our image to the world. "InVision es una herramienta indispensable en el diseño y prototipado de software." Lo mejor de InVision es que permite una interacción muy fluida de los integrantes de las diferentes áreas (desarrollo, diseño, calidad, gerencia) que están involucrados en el proyecto. Los puntos fuertes que considero que posee son, el manejo de prototipos, la simulación de la navegación requerida, la interacción por comentarios y el historial de cambios. Por otro lado es una aplicación de usabilidad muy intuitiva para cualquier perfil (técnico o no) que requiera interactuar con ella. En general una gestión integral del proyecto que la hace una herramienta excepcional en indispensable para cualquier empresa que desarrolle software. Hemos tenido ciertos problemas con la sincronización cuando hay varias personas haciendo cambios. En especifico cambios que no se han subido y que ocasiona que se continúe trabajando en diseños viejos. Definitivamente es una herramienta muy fácil de usar y que integra la solución a las necesidades que se presentan en el prototipado de software. La gestión que permite del proyecto la hace en mi opinión la herramienta líder en el mercado actual. Mantener un solo diseño del proyecto o prototipo de software, con visibilidad controlada para todas las personas involucradas. El beneficio es tener el proceso complejo del diseño bien encauzado manteniendo la visibilidad durante su desarrollo, con lo cual se consigue una gestión eficiente de esta parte de los proyectos. Invision does a great job of giving users a lot of options for flexibility to create great prototypes. The design is very intuitive and I can build anything that I can think of! I have not encountered a design that I haven't been able to build yet. The integration with Sketch makes my workflow much easier to keep the prototypes and wireframes updated. It's not so much that I dislike invision, just a plugin that they created for Invision - Craft. It is a great plugin when building wireframes and prototypes in Sketch, but the syncing has some issues. Sometimes it doesn't sync and gives me an error, but it doesn't give a reason, just "something went wrong." When errors are vague it makes troubleshooting really difficult and frustrating, but I'm hoping all of these issues will be fixed with the release of Invision Studio. It is great, I love it and would definitely recommend it to anyone looking for a solution to prototyping! It has a low learning curve and the ability to create amazing products can come naturally to any designer! I use Invision for creating interactive prototypes and wireframes for products that I build for clients. It allows me to create animations and interactions that I cannot achieve for a static prototype. Because it is so easy to use, there is more free time for me to user test and develop the product instead of getting stuck in the details. "The software that designs creatively"
It is a very impressive software and it has all the necessary tools. InVision to be so easy to manipulate helps me to make much more creative designs. It shows a much more modern and fresh image to the company as well as helping to increase the potential of the business. Everything can be customized the way you want. The option of labeling is very good, as well as integrating other applications. InVision is usually very slow. Almost always the option to integrate other applications has problems. It also has problems when loading very heavy files. The interface is somewhat complicated to manipulate too, which makes it very annoying. Customer support has been an incredible support and has helped me with any problem that presents, which gives me pleasant experiences and avoids any inconvenience whatsoever. This software is one of the best to share designs. InVision has a lot of power to increase the operation of your business. I recommend that, if you are loading very heavy files, load them manually. InVision is the best option to work from different commercial areas, definitely recommended. Thanks to this software that gave me its tools, the image of my business is much better. Using this software you can create a variety of very creative designs. My clients now think that sharing prototypes is something much more interesting. The benefits have been many, integral InVision to our daily work, create, manage and organize designs based on a participatory work that has made each creation much easier. "Revolution in the design, easy to use"
Design management software, is a network that allows you to share and exchange designs with other people, where you can comment and participate in an exchange of ideas and opinions, thus allowing to integrate all the team of joint work with clients so that, for half of previous designs, achieve an impressive image. The fact of being able to personalize according to my tastes and criteria gives me a great work experience. The integration of PhotoShop makes all the work much easier. The interface in the beginning seemed quite old, it cost me to understand how to use it and so that each tool worked, however I took the habit and understood each of the functions that it offered me. It is really wonderful software and easy to use when you understand how to configure it and share all your design works. To obtain better results in the design formats, in the exchange of ideas and negotiations in your company, start using InVision and observe all the benefits that can bring to your professional life. It has solved many problems with that has brought great benefits and solutions to various problems that we may have had some time. - Less workload and more free time to devote to the development of our projects, thanks to systematization and interaction between work team and clients, now the design decisions take less time. - Design management and organization in the quality of the same. - Better business exchanges thanks to which we offer a better product. "Free premium prototyping tool, now with a great free studio version to make things." I love the hot spots and history of the viewers, I use the history portion to find out who on the team has viewed the project and when. I like knowing who has viewed my project, and who is commenting. I love that they have launched their own version of Sketch/Photoshop called Studio and I recently got the beta, it's amazing. Love that I can just open my old files right in the new program. I like the new darker back ground and the plug-in integration. Not too many downsides to this program. When exporting links to end users, the page is slow to load. Keep up the good work and the great meet and greets.I hope to see more plug-ins and integration with partners. Sharing prototypes with people outside of my network is the best benefit. I don't have to worry about providing links to download software to interact with my prototype. Its all viable from a computer with an internet connection. Presentation is everything in my field of work, no matter how great your UX/UI is, in the end, if the presentation isn't good, it's going to leave a bad impression. Invision does this job seamlessly by enabling gestures, helping the designer make the design feel like an MVP. Invision sometimes tend to mess up the order of the files uploaded and rearranging it is quite a task especially if you have like 50-100 screens uploaded. Invison is what you need if you want to churn out prototypes quickly. Plus Invision is coming up with various other exciting products, like Invision studio, which is all part of the package. Quick feedback is essential to rapid prototyping. The commenting feature enables this. Makes it easier for clients to provide feedback on the spot without having to switch tabs. Ideal for sharing designs to get feedback from stakeholders. Easy to generate public sharing links. The commenting and tagging features are great. The interface for presenting designs is superior to most other sharing platforms. I have also yet to encounter a better alternative to generating clickable prototypes and hotspots. Invision also has great functionality for creating and sharing moodboards. The Invision Craft plugins for Sketch are very useful. Excited to see try out the additional tools coming out of the Invision ecosystem, including Studio and Design Systems Manager. Syncing files from Sketch to Invision is often problematic and the tech takes a long time to sync. Invison Sync also frequently crashes or does not perform with large files or a large number of artboards. It's gotten to a problematic point where I mostly push updates in Zeplin.The interface is also sometimes buggy and slow, especially with drag and drop. I wish Sketch artboard names would also update with Invision sync. The best software for sharing designs. InVision also has the greatest potential in streamlining the product design workflow with its suite of upcoming tools and wide range of existing design resources. Invision allows the various product teams to collaborate on design ideas, catch UX holes, and create a better product. "Amazing tool for collaboration in design"
It is a very complete software that considerably facilitates the work necessary to exchange designs effectively, where all customers and colleagues can participate and collaborate to put together an impressive design. It has great systematical functions that participate in an excellent way in the whole process of the public exchange. The Sketch integration method is very useful for me and the whole experience of being able to control and customize everything is very satisfactory. So far I have not had a complicated enough problem in which the technical support has not contributed everything to help me solve any problem. I think everything works very well, with all the specific limitations from the beginning, which of course, I knew before I started using it. However, those things have not affected me. The software works perfectly for me. I recommend its use, it is essential after you start using it and discover how incredible it is. Try it in your office, see what InVision can offer for your life, your work and for all those around you. - Better administration and management of the presented designs. - Organization between work colleagues. - Ease in business negotiations. "Easy to use software, essential." It is a fairly complete software. It allows you to develop the creative business potential, where you can make several destinations thanks to the rapid sharing function, where according to convenience you can customize, if you wish or not, enable comments or divide the design by sections. The development of business models impresses customers and gives me the ability to keep them up to date with business projects. Being able to integrate other important applications, whether Sketch or Photoshop have made it much easier to export my sketches and use them there, also with the files, I can take them directly from the application I use thanks to the integration system; this function reduces the effort of having to pass everything from one side to another. It brings a bit of complications to the use of the integration function of other applications. Although I mentioned earlier that it is quite a big help because it relieves the work load, and makes things very easy, it has a small inconvenience, it does not allow to pass very heavy files, and this has turned out to be a big problem; because if I necessarily need to use a certain sketch, that does not allow me to transfer it to InVision, I have to download it, then upload it manually to use it. It is a total nuisance. Equally the interface can be a bit complicated to manage, sometimes it does not run well, it can be very slow sometimes with some specific functions. If you are looking to make a model, try, it offers the possibility to create incredible designs, providing fabulous tools. It really seems like a complete software and it adapts completely to what you are looking for, since it has basic functions that help any emergency design circumstance. It is easy to use and very useful in the office, I recommend it and, if you still do not use it, try to try it and see how big it can be. I like the fact that it has allowed me to be able to develop online prototypes where I can share it with all the clients and work colleagues, in this way the design is created based on what they like or do not like; i don't have to be creating a design that ultimately does not like the customer, which would be a waste of time. Developing a prototype in InVision gives the opportunity to adjust, edit and create designs quickly and efficiently; all without investing much time, effort or money. "Easy to Use - Great for Clients as Well"
I love how it connects with the programs I use directly so I can always keep my prototype up to date. It also has easy functionality for creating the interactions once you are in InVision. I also love the flexibility of being able to only show certain screens, create sections in a project, and enable and disable comments depending on what project you're in. There are times and places for all of these - and having those controls is great. That I can't switch from screen to screen while in prototype mode. When I'm building out my hotspots it's a major inconvenience to go back to a different view to pick a new screen to start building out. If you use Sketch or Photoshop there is a direct plugin to upload your artwork to a project. The sync process is a little lengthy if you have a large file - so sometimes it is easier to just export JPGs and upload them manually. It all depends on what part of the process you're in, and how quickly you need to move on from that stage. It is a great way to take a static mock up of a design and bring it to life for a client to give them a sense of functionality without actually having to get into code or getting a developer to build out a prototype. The biggest benefit to this is that It eliminates a lot of potential time wasted building out a design that a client may or may not like. It gives the opportunity for adjustments pre-build and that is essential. "A swiss army knife for MVPs"
Its integration with Sketch makes this tool super invaluable. It's dev inspector makes designing for devs no effort at all on both sides. The sharing features and the prototyping capabilities are super useful to impress any client. I think the organization is a bit off. With even a small project the ui of the website starts to become pretty overwhelming and unwieldy. The Sketch upload integration can be buggy and cause quite a bit of frustration. These things have actually made me seek other tools, but there just aren't perfect tools out there yet. Check out Marvel first. I like that tool better, but my company already has a license with Invision. Prototyping, dev specs, project sharing. It does these things really well. It makes prototypes look and act like real websites and apps. Clients have been totally blows away in presentations. More than that, it acts as an excellent research tool, letting users click through flows and giving us a great tool to observe their instincts. I love that Invision accounts for the various ways a user may interact with your prototype's various elements (i.e., hover, click) and the natural progression that would come after taking that interaction (i..e, after clicking stay on the same screen, stay on the target screen, close and return to the previous screen). I also like the ability to share projects with outside users in a controlled way (password protection) and that comments can be left in-prototype on the specific element requiring editing and checked off once complete. 1. You can create sections for your various screens to live in, like categories, which is great. And, you can drag your screens or assign your to different sections, as needed. Both of these features are great. However, moving the sections up and down the page can only be accomplished via up and down arrows, as opposed to dragging. This is fine if your prototype only has a few sections, but when you have a lot of screens for a large project, moving sections becomes daunting and takes a long time if you need to move one section from the end closer to the top. 2. When you add new screens, they don't automatically appear in the section you were last in. They're added somewhat randomly, at least for me. I've had times where the new screens are added to the bottom of the page. Other times, they'll appear in random sections and I can't find them. It would be nice if I could select the section I would like the screens to be added to before they just populate the page. 3. It's difficult to see which screen to link a hotspot to in the dropdown list when in "Build" mode. 4. When in Preview and Build mode, you can hit the name of your project to see all of the screens in the project along the bottom of your screen horizontally. The previews are so small, that for large projects it can be difficult to tell which screen is which as you scroll through. It's a fast, easy way to share prototypes with clients that allows them to interact with and test the mockups, as well as, provide feedback instantly. I like that it is fairly easy to use. InVision has a great free trial as well - I like that adding hotspots is flawless and you can control animations and transitions as well. I dislike that they don't have a good on-boarding or training to get acclimated with the program. I had to teach myself how to use the program which wasn't too difficult but I also think I don't use it to its fullest capability since I haven't found resources. I would recommend this program to anyone looking to prototype a project especially if you are looking to collaborate with a team. I am solving the connection between me as a UX/UI designer and the developer. Its easy to show the developer how the final product should function and you can leave comments throughout each screen which helps keep everything in the same place and collaborative. "Reliable, fast, and easy to use, but getting complicated"
Invision is easy not only for designers to use, but anyone not really in design. The interface is pretty easy to figure out for the basics, but if you want to do anything more complex, it's getting pretty complicated. I'm getting a bit concerned that InVision is trying to do EVERYTHING in the space and the offerings are making the core experience a bit more confusing than it has to be. The prototypes are best meant for static interaction for now so I wouldn't use this for motion prototypes yet. You might be better off building that yourself in another app or building your own from scratch. if you need something flexible to work across not only your Design team but other parts of the organization, InVision is an easy choice because it's user friendly from the sharing perspective. The user perspective is relatively easy to use, and it supports multiple sizes for screens. Just be aware that InVision is best for relatively simple static prototypes and anything with motion is not supported well yet. Sharing prototypes both internally and externally have proven immensely useful. The password protection on entire prototypes or individual screens are useful for limiting the exposure of certain parts of the prototypes to only relevant areas that a stakeholder has to see without you having to setup a separate project. Like I mentioned in the title of this review, it makes itself indispensable, but having said that, I do have some qualms. The craft plugin will crash Sketch if I try to use real data other than the names feature, the comments and conversation UI leaves much to be desired—it's clunky, and feels like there wasn't much testing done in a real-use scenario. InVision is an indispensable tool. I like that you're allowed one prototype for free—so if you're like me, and don't have enough freelance work coming in to pay the 13.00 a month for the lowest paid tier, you have to be creative and careful with prototype turnover. The tradeout here, over competitors, such as Marvel is that while Marvel allows for more than one prototype, but all new prototypes disallow commenting which is kind of useless. Another thing to think about is transitions and animations. While not exportable on an engineering level, you can insert some pretty advanced overlays and transitions to illustrate more than static screens—something Marvel doesn't feature. Another underused feature is the inspector. While most people hand over a Sketch file, or upload a file to Zeplin, InVision already has a lot of those features built in—they're just somewhat hidden. It even creates a repository for assets such as .svg and .png layers. Overall it's a great tool, especially given all of the work they're doing on their newer features and the future of product design, as a whole. I use InVision every day. I like that I can hook it directly up to Sketch via the Craft plugin, and it's really useful for quick prototyping; ruling out UX flows/finding problems we might not have discovered, before. It's pretty widely used, so I can send it to clients and they have either already used it, or can quickly onboard themselves just by following a share link, and following tour points. Simple on boarding and easy for the beginner prototyper. Nice how it synchs with Sketch. Still, has all the bells and whistles that an advanced designer wants. Good simple transitions, lots of nice templates. Would like more flexibility to show micro interactions. Better and easier animations--would like to see some micro animations that are drag and drop to make the whole process faster.. Simpler templates. Sometimes the user flow is confusing and hard to find your way back. This is the industry standard (at this point) so learn to use it. Great for explaining UI/UX to the Product team and stakeholders. It’s almost impossible today to conduct design reviews without prototyping since interfaces are so dynamic. It’s also fantastic for usability testing since users get to see what seems like a functional application and yet changes are relatively simple to implement and test again. "Excellent Companion for Sketch in an Agile Process"
The ability to sync artboards from my sketch file to InVision with a couple clicks makes edits fast and seamless. InVision provides an excellent tool for others to provide feedback, sending automated emails of comments with screen grabs and links of the page where the comment occurred. This makes it tremendously easy for designers to get feedback and non-designers to easily find designs in InVision. I often have projects with many pages in InVision and navigating through them can be challenging. You have to be very diligent in naming files to find which one you're looking for in InVision. The software hangs if you try to open multiple pages in separate tabs. It really only likes you to work in one view, but I often want to be looking at more than one page and haven't found an intuitive way to do that supported by InVision. Make sure you understand the pricing structure and what capabilities you'll have to grant permissions for different features to other users. I'm creating SAS web product wireframes in Agile environments and am solving for user needs on each page view of an application. Because my company follows Agile methodology, I have to be able to work quickly and iteratively, which InVision makes very easy with its commenting and sketch syncing features. These have streamlined my communication needs greatly. Before InVision came along, I had to send PDFs, or screen grabs in email or online coworking spaces and get feedback in clunky emails or marked up PDFs. "New Website Experience Made Easy"
I love that InvisionApp is so easy to use and creates a really seamless experience for a new website design. We use this product as we are re-branding and re-creating our entire website and it helps showcase the direction we are going in so that people can see and understand. This is one of the best (if not #1) prototyping tools out there. I love that though specifically for design, this tool allows multi-departmental understanding of a certain project and gives project managers, designers, coders, etc. the ability to conceptualize and experience the project as it takes shape. I really don't have one! Since there are so many capabilities within this platform, it can be a bit overwhelming. The help center is great and I've been successful using that outlet but I wish there were more (or maybe easier to find....) help videos for "big topics". I can't recommend InVision enough. There is a reason major companies choose this software -- they are the best! Give it a try; it's free and you're guaranteed to love it! Redesigning an almost 15-year old website with old graphics, coding, UX, etc. has been exceedingly challenging, especially when trying to communicate design interwoven with usage. With Invision, we get to show real-time prototypes of our new website direction and also allow for collaboration. This tool has benefited our company by allowing the designers an outlet to describe what they are doing and have impactful collaboration. I like how simple the user interface is. I also like that you can upload a Photoshop file to your prototypes and update the screens automatically when you save in Photoshop. It is super simple to share a working screen with viewers with a link or the app. It is very easy to drag and drop screens as well as re order them. I dislike that sometimes you are required to make a new link when you want to share the most recent prototype edits. I also wish that there was a way to edit the text on a prototype within the Invision platform. I also wish there was a way to export the screen flow into a video or PDF in case the internet isn't working or the files are deleted somehow. When building a new website and communicating with the developers at one of my clients workplaces, it was very helpful to have Invision to explain how I wanted the new website to flow. From the screen movements to the click actions. It would have been harder and taken longer for me to animate screens or write the actions in words for them. "Ideal prototyping tool with other great features"
InVision is constantly pushing the limit on the features that it releases. They started off with having the best prototyping tool and have followed that by boosting the capabilities and creating add-ons like Craft. They have a great option for creating boards (I tend to use these as a way to show my CEO mood boards as well as to create a living updated style guide). The comments section is phenomenal because it allows my developers, copy writers and product managers to leave me notes about items that need to change in the designs. I haven't used Freehand but it's supposed to be an interactive way to take notes right on the artboard with the use of a stylus and tablet or iPad. There are some limitations in terms of interaction but a lot of the time there are work-arounds. The best way to become familiar with these work-arounds is watching youtube videos and reading their blog. The customer support from InVision far surpasses my expectations. They have a chat box on the bottom of the page with technicians that quickly understand my needs and provide me with a solution or a link to relevant information. There are various pricing options for this product. You can start with a free account but if you're a large company, the Enterprise account is absolutely the way to go. I am able to send out mockups and interactions to key stakeholders at my company. InVision has also allowed me to give my offsite development team HTML and CSS styling as well as the ability to hand off elements like imagery and icons. "Overwhelming, but very easy to learn." The best things about invision is the ease of use when collaborating with a team, and the fact that it's web based. Another great pro is that it allows you to import artwork from other apps easily, like photoshop and sketch. Being able to have this easy import accessibility helps the flow and speed of the production process on all of my projects. It also seems that they keep integrating different apps to work within their system, which is great. This is not really a dislike, but I just feel that there is so much you can do on here, which can make it feel a little overwhelming. In a good way! There's just a lot to learn when it comes to all the features this program has. Other than that, I haven't found anything else that I have disliked about this program. Keep up the good work, inVision! Great investment when you work with large teams, for collaboration. As well as speeding up the production process. Collaboration between other creatives and clients have been great. It defiantly speeds up the progress for feedback, which has increased my production time for all of my projects. Live feedback is also useful. When you are unable to meet with a client, live feedback is the perfect way to collaborate and make changes on the spot when needed. This feature is definitely a blessing when it comes to saving time and wasted hours of waiting for verbal feedback. "Helps to literally "envision" projects before they're created." I really like that you can add comments directly on something and respond to others' comments. The basis of InVision is also a cool idea. I'm glad it exists. Sometimes the comments I add don't save. They look like they save, but occasionally they will have disappeared later. (And not because they were resolved). Also, I hate that if you click into one project and exit out of it, you end up at the top of the page again instead of in the same spot of the page. If you have the need to send a client a project before building it, InVision will definitely help. It saves us time from getting all edits out of the way at the design level of projects. We are able to mock up projects to see how they would look when they are built. Helps us mostly with designing websites, emails, and social ads. "Great for prototyping your websites and apps"
There are some minor user experience issues - for example, it takes a few clicks to copy a URL of a specific screen to share with a co-worker. Switching between organizations is not intuitive and many of my team members were confused at first. I also found some syncing issues when using the Sketch plugin. Sometimes the screens didn't update. InVision was critical to my team's design process. InVision made sharing and reviewing designs very easy. Although there were some minor user experience issues, they didn't stop us from using it. When I reached out to the customer service department for some of these issues, they were quick to reply and appreciative. It's really nice for designers to be able to create interactive prototypes and share with developers and product managers. It's a quick and easy way to test the proof of concept and deliver the final designs to developers. "Es ist kostenlos und hilfreich." Mir gefällt, dass diese Software alles hat, um Prototypen für jedes Gerät zu testen. Wir können es so leicht mit unseren Mitarbeitern und anderen Mitgliedern teilen. Mit den einfachen Funktionen können Kunden entscheiden, ob es gut ist oder nicht. Wir können so leicht Feedback bekommen. Ich mag es auch, dass wir Dokumente von anderen Webseiten ziehen und einfach dort einfügen können. Diese Eigenschaft ist erstaunlich. Ich denke, am Anfang ist ein wenig verwirrend und wir mussten den Kundendienst kontaktieren. Ich würde das jedem empfehlen, denn zuerst: es ist kostenlos. Und zweitens hilft Ihnen das, das richtige Design und die richtigen Ideen zu bekommen. Ich benutze InVision für das Prototyping und teile meine Projekte mit anderen Leuten. Es ist ein großartiges Werkzeug, da es kostenlos ist und alles schnell macht. "Amazing tool! Makes us look good before our clients!" I really love the interface. It's extremely user friendly but I absolutely love what the app can do by allowing us to share layouts and get feedback from clients in a very easy way. We use to share jpegs by email and not only they were heavy but clients didn't really have a good understanding of what some represented and how they would be used. InvisionApp allows us to connect layouts and make them interactive before we write one line of code. I really can't say I dislike anything. If there is one thing I'd say can be improved is the options for layouts in the boards (it's hard to control the size of the items depending on what layout we choose). Just get it! It's amazing how this app has saved us hours of time and we started using it right away, no learning curve or long setups. It is a very intuitive app and even clients don't have difficulties using it. In fact, some are fascinated by it and have mentioned how more professional we are compared to their previous agency just by how we present our layouts. Design feedback from clients and InvisionApp has saved us hours in back and forth plus hours in revisions, because now we can show something more interactive that is easier for the client to understand. Also, we use boards a lot. We use Invision to create mood boards as well as create brand boards for clients and they love it! It really makes us look good!! "Very easy, quick prototyping tool!" It's so incredibly easy to use, and they've added a lot of helpful features over time (overlays, fixed header/footer/ etc). When used with Sketch or Photoshop, you can sync your files/assets with InVision so that your prototype stays up to date as your source file changes. Lacking in realistic form prototyping (text areas/etc). It would be nice to be able to utilize realistic text areas for user testing purposes. Another benefit that is currently missing is a fixed sidebar. It would be nice to be able to take a small png and drag/drop that onto the current screen for quick reference. Even just for the free trial- consider giving InVision a shot! It's a very fast/easy prototyping tool. Quick prototyping and user testing. We've been able to test business ideas with high-fidelity prototypes by uploading images and/or source files and easily setting up hotspots for user testing. This has allowed us to quickly iterate on user feedback and make big changes to business ideas that have saved clients thousands of dollars. "A "nearly perfect" prototyping tool "
InVision is purely designed based on a "designer mindset" and this makes the platform very easy to use for other designers. It gives the basics of UI and UX design to create a prototype fast and easy. You are at the peak of the learning curve from the beginning with its simple yet professional User Interface and great User Experience. Another feature I like is "Fixed footer" and "Fixed header" sections which are very useful in designing the prototype. Another great feature of InVision is Craft plugin which can be installed on Photoshop and Sketch to sync the design with the service directly from the desktop. Amazing! Actually, there is nothing that I dislike in InVision except limitations on free accounts which obviously are needed for the business purposes! So, no complaint about that! But, the pricing is not convenient for everyone and I categorize it as an expensive online service. It's free for your first project, so try it with no hesitation! You will enjoy working with it. InVision made Interactive prototyping very easy. Its "LiveShare" feature is very handy for presenting the prototype to clients or other team members. It has great tools for team collaborations like Group sketch over the design or on a virtual whiteboard, Toll-free conference call, etc. Also, downloading the prototype is another great benefit of InVision which allows you to host your prototype on your own server. I love that it can easily be synced through Sketch! Craft Manager is great. Another plus is that they now have another tool that is just like Sketch, called Studio. It's all in one! I also love that you can edit headers and footers, it makes it feel like you can scroll on a real life phone and have what you need stay in place. It's also great that if you select iPhone, then the designs show up right on an actual iPhone! Other great features are the ability to have a timer on, so then pop ups can dissolve in and out. I don't like how Craft/InVision doesn't always update correctly. Another problem is that there might be some animation flaws when you click through the flow. Learn every single feature that you can. The ability to have a timer, make headers, comment, share with others, makes wonders! With InVision, I am able to solve the disconnect between product managers, developers, and designers. Both product managers and developers need to see how to the user experience works, so with this, designers are able to showcase the work. For all the projects I have worked on, I use InVision to show to others.